With the high costs of beauty products nowadays, I decided I wanted to start making my own. Plus, the ingredient list of some items you see in the store or even have in your bathroom is mind baffling. Like why would I want to put all of those chemicals on one of the most important organs; my skin? No thanks! So I started collecting some items I would need, like organic coconut oil, African Raw unrefined shea butter, apricot kernel oil, and an array of essential oils just to get me started. For this recipe, I used the above and doTERRA’s lavender and wild orange essential oils. High in monoterpenes, Wild Orange possesses stimulating and purifying qualities, making it ideal to support healthy immune system function when seasonal threats are high. As with many citrus peel oils, Wild Orange contains powerful antioxidants that help maintain overall health. In ancient times, the Egyptians and Romans used Lavender for bathing, relaxation, cooking, and as a perfume; it is widely used for its calming and relaxing qualities which continue to be Lavender’s most notable qualities. Add a few drops of Lavender to pillows, bedding, or bottoms of feet to promote a restful night’s sleep. 1 cup of unrefined shea butter. 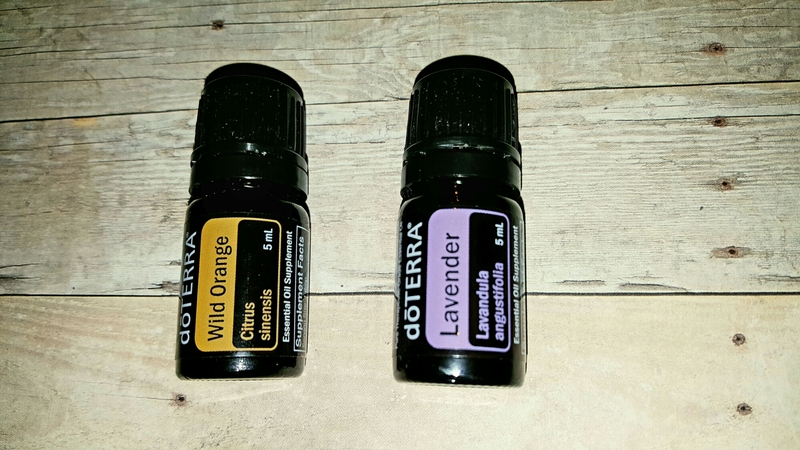 15 drops of Lavender and 15 drops of wild orange. (add more for a stronger smell. Combine the shea butter, the coconut oil, and apricot together in a double boiler, or use a pan and a metal or glass bowl if you don’t have a double boiler. Heat until melted. It’s faster if you break up the shea butter into smaller chunks. Once melted, remove from heat and allow to cool for 15-20 minutes. It should still be warm. Place the bowl in the freezer until slightly hardened. Around 30 minutes. I forgot about mine and it was solid, but it still worked, just took a bit longer to whip. 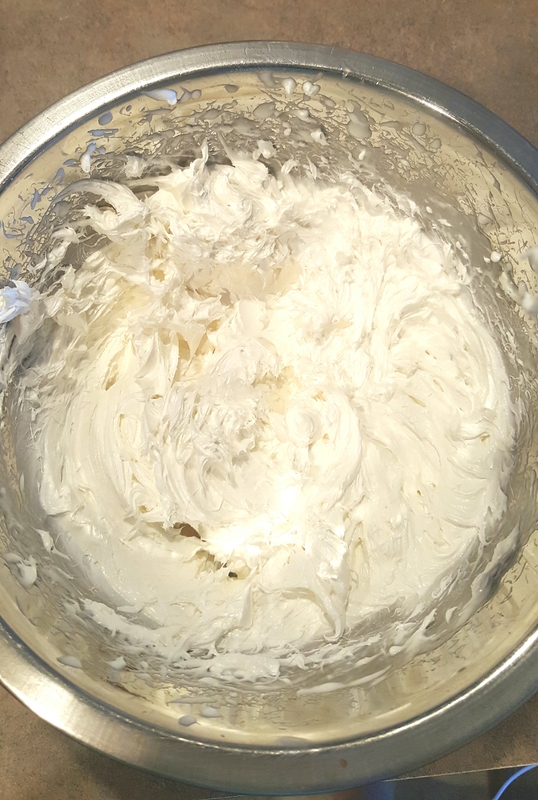 Whip the solid contents for 5-8 minutes until you get a whipped consistency using a mixer, either hand or stand. I used hand cause that’s all I have atm. Add body butter to jars. I used Ball brand 4oz jelly jars and it only filled about 3 of them. I made these as baby shower prizes for my sisters baby shower a couple weeks ago and it was a hit! I was afraid they’d melt in the summer heat, but nope they stayed whipped. Granted it wasn’t super hot that day, maybe mid-70s. One of these 4 oz jars lasts a long time and should be shelf stable as long as you get no water in it for at least 6 months. A little bit goes a long way too! I love it because I have dry skin. Makes my bumpy arms feel so soft after a week of using it. I’ll be trying to make more chemical free items when I get the chance now that I have a little one, so stay tuned! That sounds wonderful! This is exactly the type of thing that I love to pamper myself with. I can’t wait to make this. My skin would soak this up in no time, it’s so dry from the summer heat. I’ll have to try making this, I need one ingredient which I’ll pick up asap. I’ve made a bunch of different body scrubs and I have to say that lavender is one of my faves! I usually add some lemon extract but I think I’ll try orange next time. I really need to invest in some essential oils. 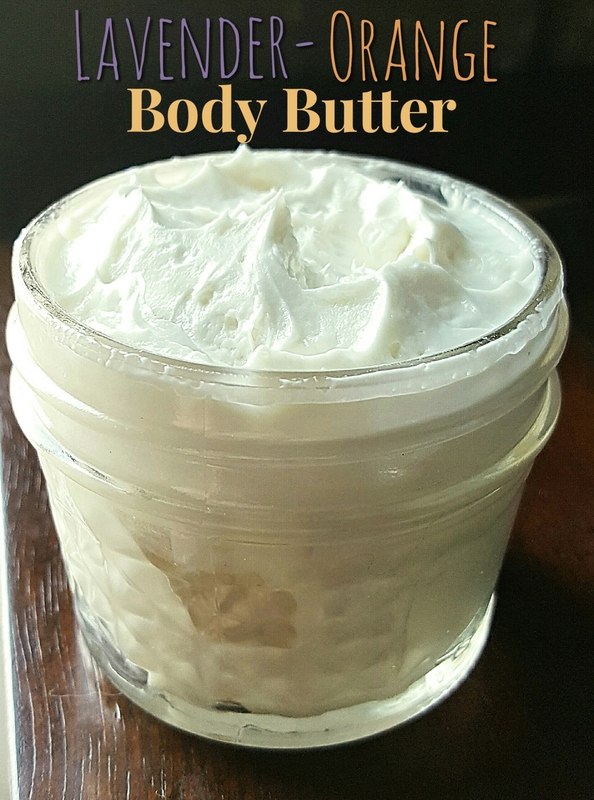 There are so many awesome things, including this body butter, that you can make with them. I recently received a vegan recipe book for skincare and can’t wait to try out new recipes. I love skincare and making it at home seems like a lot of fun. 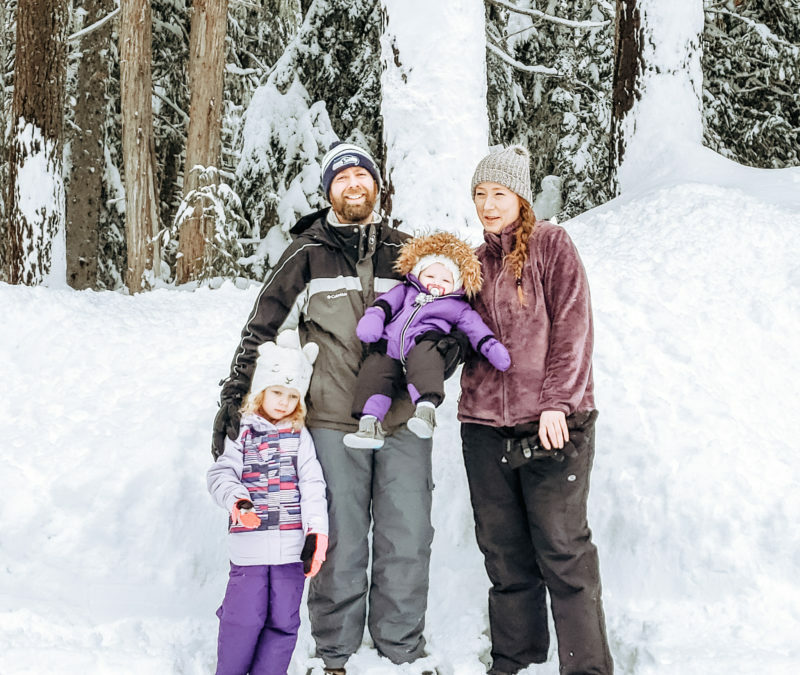 Cindy Ingalls recently posted…New! Freeze 24-7 Coconut Gel Face Masks! It’s always nice to make homemade moisturizers especially if you have sensitive skin. This way, you get to pick the ingredients that you’re going to include in them. This one sounds amazing and I’m sure it smells great too! Thanks for the recipe! Ooh, what a nice idea. It sounds really soothing. I know I like the scent of lavender. Nice idea. I love body butter and the scent of lavender. You hand me at lavender but the combination with oranges really intrigued me. I keep trying to imagine the smell of them combined together. I’ll have to try this! I’m gonna love it for sure. I’m glad that you shared to us. I bet it just smells amazing!!! We love essential oils as well and use them for everything! I am obsessed with body butters and I buy them all the time. I never thought about making it myself so I appreciate your simple DIY recipe on making one’s own. I will definitely give it a try! I can tell you it smells good…. just from what you put in it. I have never done a DYI body butter before but now I have to try it out. My daughter loves homemade body butters and scrubs. I will tell her about this one. I am sure she will love to try it. This looks like the perfect body butter and I bet it smells amazing! This looks like a great idea for a giveaway or gift as well! I’m sure it looks more whipped than usual so it should be safe at normal temperature. Wow, nice! I want to try this as I am spending money with a store bought body butter. I never thought that I can make this at home. I am so excited to make this. I am with you when it comes to using natural products and I love using essential oils anytime. This sounds like a wonderful DIY idea which looks so easy to do and I am going to give it a try for sure! I am all out of body butter. I think making it myself might be awesome! I love Coconut, And Lavender is always in my garden and house. And This cream sounds amazing! Body butter; sounds amazing. Now I know that making this at home is also possible.